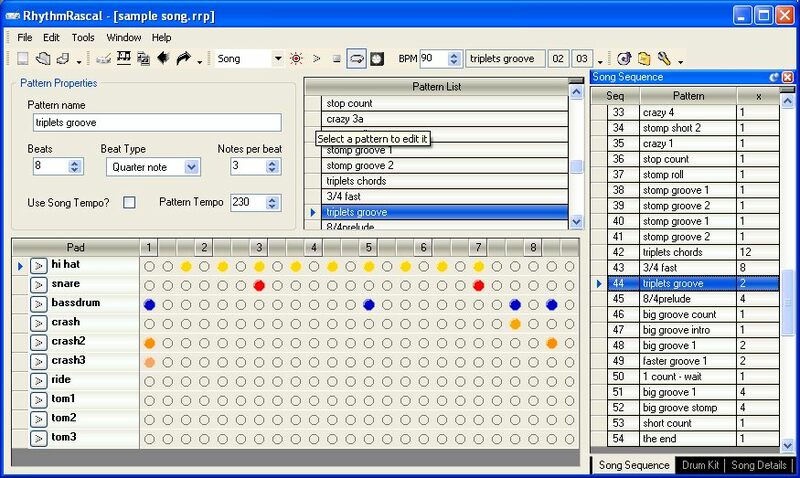 LoopWorx transforms your computer into a recording studio for groovy sounds. Get creative and produce your own rock music with the easy to use program. LoopWorx transforms your computer into a recording studio for groovy sounds. Get creative and produce your own dance, techno, house or electro music with the easy to use program. This CD has collection of 50 premier Tabla Loops useful for music recording and composing. (PCM wav format, 16 bit 44100 Hz resolution, Each loop comes in a separate file). With the freeware MAGIX Music Maker Basic Edition you can compose professional sounding songs and entire soundtracks in just minutes. Incl. 750 MB sound loops sorted by genre and downloadable directly from within the program. 60 pieces Yamaha and Tama drum kit samples for use in drum machine software or creation of drum loops. All samples are delivered in ogg, wav and mp3 formats. Here are some examples of included samples. 3 position hi hat, Paiste 8" splash, Paiste 14"
With FutureDecks you can mix your songs and videos like a pro DJ. Beat-matching is just a click away and so are seamless beat-aware loops and many other things. All theese thanks to the precise automatic BPM counter. Try it and you won't regret it!